This was another sweet looking patch card we pulled from the case. 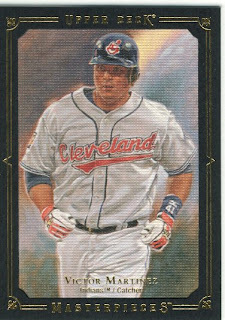 I also scanned the black bordered parallel, which we ended up with two of if anyone is looking for one. So far, I scanned and listed all of the blue, brown, green, red, and black parallels, as well as all the SP's, auto's and game used cards. Stop by the store if you are looking for the player you collect.